Enjoy the beauty of tucked away mountain corners. 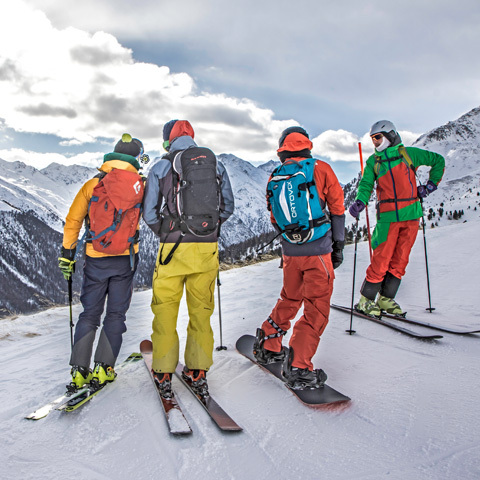 Ski freeride with like-minded enthusiasts. Listen to tips and tales from a local skier. Get snug in a traditional mountain hut nestled in the backcountry. Tuck into an alpine picnic with authentic foodie delights. Experience and discover the true magic of the local area. Every Wednesday from 16 January to 24 April 2019. The meeting point is at the top of the San Rocco Carosello 3000 gondola (no.11-12). From here, we head off towards the secret spots. Meet with our local skier at the Freedom Eagle at the top of the San Rocco Carosello 3000 gondola (no.11-12). Avalanche transceiver check and departure. 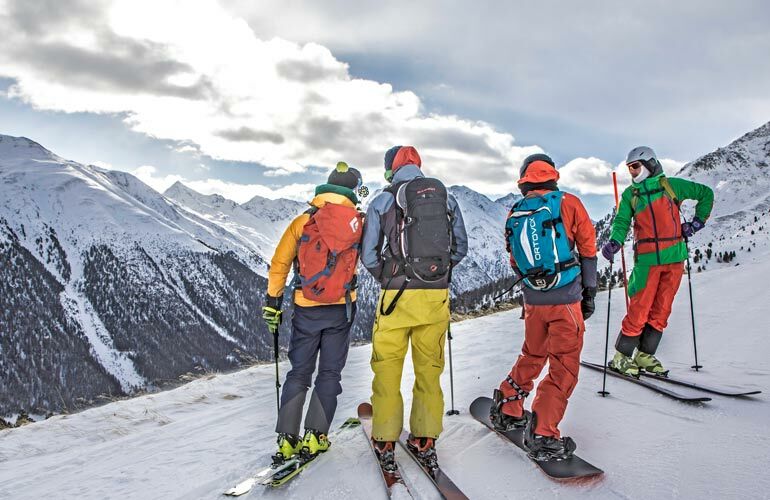 10.30 A.M. - 1.00 P.M.
Easy freeride skiing through secret spots only known to local skiers, exploring woodland and taking in breathtaking views across the whole Livigno valley. Alpine picnic with typical local products in a renovated baitel, a traditional alpine shepherd's hut. Storytelling with ancient myths and local tales. The cost of the Local Experience is €69.00 per person. You can buy your experience in Livigno up until 5.00 p.m. the previous day (Tuesday) at the Carosello 3000 San Rocco gondola ticket office. You can also book on-line and pay with PayPal or credit card. In order to participate in this experience, you must carry an avalanche transceiver, snow shovel and probe. This equipment can be rented at the special price of €10 – just show your ticket in our selected store. For this experience you must wear a helmet. The Local Experience is an exclusive event with a limited number of places. Book now to secure your place before they're all gone. Be punctual at the meeting point to not to miss neither a moment of you freeride day. Use an adequate clothing: waterproof, transpirant and warm. In case you feel warm, you are always in time to take off one layer on the slopes. Use freeride skies, wider and lighter, in order to float on the powder and don’t get tired, and completely enjoy the fresh snow. You don’t need to be a pro, this experience is great also for average skiers. The ride to reach the baitel is easy, hence you can use this experience as a first approach to freeride and to learn the freeride security measures. The rides are decided accordinbg to the technical characteristics of the group, hence the experience can be personalized to you technical level and to your requirements. Be honest, in order not to get into situations not adequate to your ski level. The Local Experience is great also for families with children and snowboarders, the only important thing is to have an intermediate ski or snowboard level in order to be able to approach freeride. An amazing atmosphere and incredible people make life in Livigno unforgettable!!!! Carosello 3000 was a dream of a Mountain, great slopes with great friends. My heart lives in this Mountain! The best service, the best skiing, great atmosphere - just Carosello 3000 forever! Skiing for the first time in Italy and I completely fell in love with beautiful large slopes and a very relaxing atmosphere during and after skiing! Simply fantastic! Well prepared slopes, friendly staff and amazing snow! The air and the view is so calming. Livigno is the place to de-stress. Carosello 3000 is amazing, probably the best place in Europe. Livigno is fantastic! It combines the best of Italian atmosphere and Swiss organization. I had the time of my life in Livingo. I will never forget this trip. The best place on earth to spend the holiday - both for winter and summer activities. Amazing! Every time exciting like the first time! You feel alive when skiing down the great Alps. It was the best trip of my life!!! Awesome... snow, people, weather and infrastructure. We can't think of a better place for a family wanting to experience great skiing of all levels. Livigno is just the pure form of skiing. Carosello 3000 is our place in the Alps! It has been one of the best ski vacations I have ever had. The most exhilarating moments on your Mountain escape. Take your Mountain escape to the extreme. Fly over the peaks of Carosello 3000. The mountains, the magic of snow, skiing on fresh snow and the friendly atmosphere.